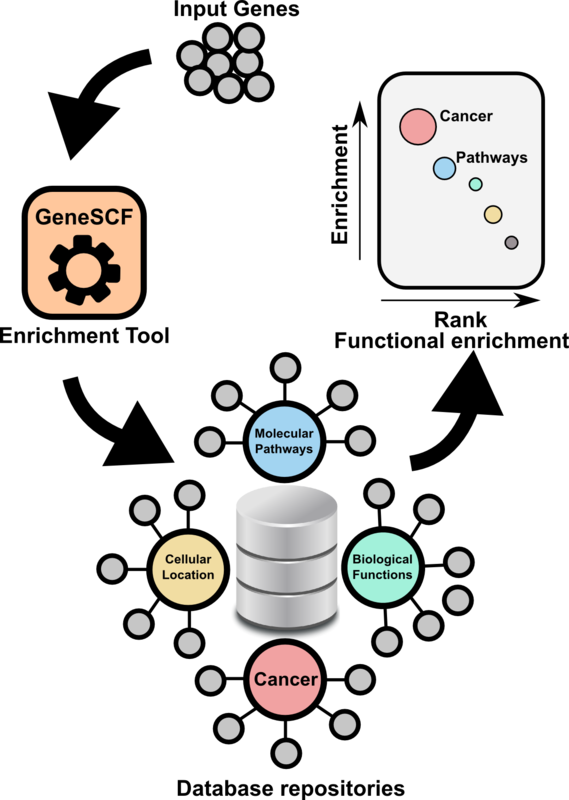 GeneSCF serves as command line tool for clustering the list of genes given by the users based on functional annotation (Geneontology, KEGG, REACTOME and NCG). It requires gene list in the form of Entrez Gene ID (UIDs) or Official gene symbols as a input. The advantage of using GeneSCF over other enrichment tools is that, it performs enrichment analysis in real-time (v1.1 and above) by accessing source databases.